The starting point of our sustainability crisis? 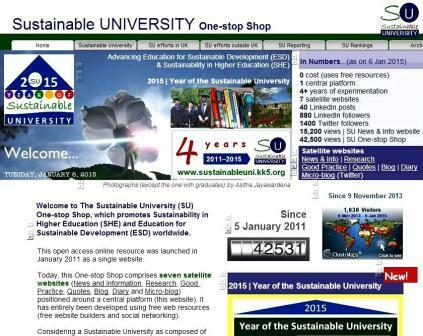 Where does sustainability begin? Or rather, what is the absolute starting point of the sustainability crisis that we are facing today? Having thought about this for some time, I zeroed on Roy Rappaport’s law-meaning analysis. According to him, the greatest challenge that humanity would face would emerge from disconformities between nature’s laws and human-constructed meanings. Further, he says that we humans live and can live only in terms of these meanings. For example, such a human-constructed meaning is that more consumption would simply lead to enhanced wellbeing. Or growth is development. Conflict occurs when nature’s laws and human-constructed meanings are not compatible. Which one should tune to the other? But before that, we should perhaps find out who is in charge. Nature or humans? Rappaport, R.A. (1990) Ecosystems, populations and people In: Moran, E.F. (ed.) The ecosystem approach in anthropology. Ann Arbor: University of Michigan Press. Who is in charge? Nature or humans? Sustainability can not be the absolute term, it is rather a ambient variant relative assumption that show up visible impact under consideration. More consumption lead to better wellbeing and the growth is the development may not be considered under the sustainability scale. Sustainable development does not recommend the better growth or undergrowth, the actual growth, which exceeds the sustainable threshold limit that naturally generates the sustainability crises either in the national / regional / ultimately in the global scale. Sustainability is a balancing act…. A US storm derails my train of thought at UCL!